Six people were arrests in the fatal shooting of a father of four, Xavier Shotwell, during a hold-up in Memphis, Tennessee. The Memphis Police Department said Saturday, December 1, that the suspects, who include three kids of ages 13, 14 and 15, were accused of killing the 35-year-old on Friday, November 30, in a parking lot. Authorities say they were occupants in a white pickup truck stopping it shortly after the shooting. When Shotwell was killed when he was sitting in his truck in a parking lot. Police said two of the suspects pulled up in a black Mercedes and tried to rob a 35-year-old man. They then shot Shotwell when he rammed their vehicle with his truck. According to his cousin Virrokco Jones, he was watching shooting report when he recognized the truck. He told WREG-TV, "I said that looks like Zay's truck. Then I said, ‘Naw, it can't be because I would've heard something by now.’ Then right after I said that, my phone rings." Early Thursday, November 29, the suspects carjacked the Mercedes, abandoned it and set it on fire after the homicide, police said. 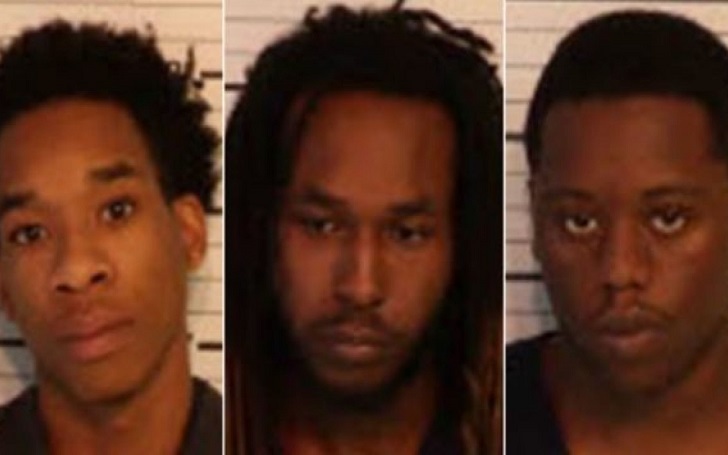 The name of three adults culprits, who have been charged in the case, are Marcus Brown, 19, Carlos Craft, 21, and Demetrius Harris, 23. The three juveniles, meanwhile, were not identified.